Study findings suggest that urinary PCA3 and T2:ERG testing improves the specificity of detecting aggressive prostate cancer compared with serum PSA alone. 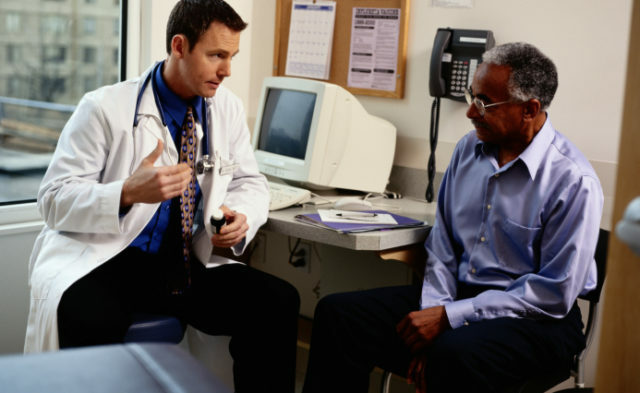 Prostate-specific antigen (PSA) testing for prostate cancer screening is limited by the potential for unnecessary biopsy and treatment of indolent disease. The purpose of this study was to determine if the combined testing of urine PCA3 and TR2:ERG could detect aggressive disease with greater specificity than serum PSA alone. The prospective study consisted of a developmental and a validation cohort. The development cohort enrolled 516 men presenting for first time prostate biopsy with a mean age of 62. Digital rectal exam (DRE) results were normal in 24.7%, enlarged/benign in 59.2%, and suspect in 15.5%. The median prebiopsy serum PSA was 4.8 ng/mL (range, 0.3-460.4 ng/mL). Urine scores of 60 or greater for T2:ERG and PCA3 were associated with aggressive prostate cancer (P < .001 for both). Combined urine testing of T2:ERG and PCA3 with cutoffs of 7.6 and 19.1, respectively, and a sensitivity of 95% resulted in a specificity of 39%, which was improved from 18% and 17% for PSA and PCA3 alone. Patients in this cohort with a PSA greater than 10 ng/mL demonstrated a TR2:ERG and PCA3 scores of at least 7.6 and 19.1, respectively. The validation cohort enrolled 561 men prior to biopsy. This analysis used thresholds of 8, 20, and 10 ng/mL for urinary T2:ERG, PCA3, and serum PSA scores. Patients with scores above these thresholds demonstrated a significantly increased risk of aggressive prostate cancer with specificity increasing from 17% with PSA alone to 33%. The combined thresholds would have missed 7% of tumors with Gleason scores of 7 or higher compared with 21% with PCA3 alone. The authors stated that these findings suggest that urinary PCA3 and T2:ERG testing improves the specificity of detecting aggressive prostate cancer compared with serum PSA alone.